North Korean leader Kim Jong-un has invited Pope Francis to visit the country, South Korea’s presidential office has announced. The invitation to visit Pyongyang will be delivered by South Korean president Moon Jae-in who will be in the Vatican next week as part of a trip to Europe. No pope has ever visited North Korea, though the late Pope John Paul II was once invited. 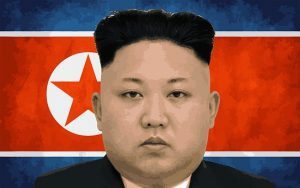 North Korea and the Vatican have no formal diplomatic relations. “During the meeting with Pope Francis, [Mr Moon] will relay the message from chairman Kim Jong-un that he would ardently welcome the Pope if he visits [the North Korean capital] Pyongyang,” Mr Moon’s spokesman, Kim Eui-kyeom, told reporters. Pope Francis has made a variety of interfaith and socialist statements, so Kim Jong-un likely feels he has nothing to lose, and a possible partial ally to gain, by inviting Pope Francis. The fact that this has happened right after the Vatican agreed to sign a compromise deal with China regarding the appointment of Catholic bishops (see Vatican announces deal with China on bishop appointments) suggests that perhaps Kim Jong-un feels he can also negotiate something with the Vatican that would not have otherwise seemed possible. Pope Francis has urged bishops from around Asia to listen to people of different cultures but still remain true to their own Catholic identity. Hence a visit to North Korea would seem to be part of his agenda. 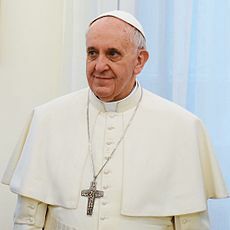 The agenda to create strong cooperation and bonds between peoples around the world, so that all will be part of a one-world endorsed religion with the top leader in Rome. The beautiful people may be the Beast and his false prophet which apparently will impress peoples in places including Asia. The “saint,” who is not that great, will likely be “the false prophet,” the final Antichrist (see also Some Doctrines of Antichrist). I believe that Vatican efforts, combined with ancient Chinese writings and modern politics, along with signs and lying wonders (2 Thessalonians 2:9-12, will be factors in getting the Asians and others to cooperate, for a time, with the rising Beast power. The Bible reveals that after signs and lying wonders (2 Thessalonians 2:9-12), the bulk of the world will worship one in Europe (Revelation 13:1-4,8)–one that will promote a compromised version of a faith that will initially call itself Catholic. Korea in Prophecy, Any Witness? Where did the Korean people come from? Does God have a plan for the Koreans? Is Korea mentioned in any prophecies? Will Koreans be among the first in the Kingdom of God? Here is a machine-translated link to that article in Korean: 한국의 언어로 : 한국 예언, 모든 증인에?. Here is a link to a magazine with that article in Mandarin Chinese: 在预言中的韩国：有任何证人吗？ A prophetic video is also available: Syria, North Korea, and Prophecy. This entry was posted on Wednesday, October 10th, 2018 at 3:00 pm	and is filed under Prophecy, Religious News.